Angel (n): person of exemplary conduct or virtue. We all know a few of these people, the ones who go out of their way to put a smile on someone else’s face. Who, despite all the turmoil in their own lives, show up daily to help us deal with the mess in our own. And they deserve the term, they deserve to be labeled with a word that can only describe the goodness and pure energy in their hearts, that surround them and follow them wherever they may go. But these angels aren’t always recognized; not because we don’t want to, but sometimes there just isn’t anything in the moment that is enough to say “thank you” for those moments when they put themselves aside to give their love to others. So it was with great excitement that Odyssey Gathering Music Festival decided they would do what they could, and hold a contest, to give back to the community and honour an angel, or two. “We’re holding this contest to recognize those in the community who deserve a ticket but may not be able to afford one,” said Bee Adoneye, co-founder and general manager of the festival, held near Smoky Lake, just north of Edmonton. The Angel Contest was just a small feature, prompting anyone and everyone to nominate their favourite person, someone they thought always went over and above. “We have over a dozen submissions! Community work is often thankless and unpaid, and we really wanted to recognize those who were putting the work in. Really happy to give back to the community he so happily resides in, Bee is grateful to everyone that has submitted so far. With the May 1 deadline creeping up, the month notice gives whoever the recipient is more than enough time to prepare for the June festival. With the possibility of multiple recipients, the winner(s) will be given a full weekend pass, with all access perks, so they can really just take the time to celebrate themselves, surrounded by those who love them. Odyssey Gathering takes place June 1 – June 3, 2018. It has been a hard winter, and a crazy one. The temperatures rise and fall like baking bread and the busy city slowly ticks its way through the new year. Festival season seems so far away, and traditional festie wear has been put away for a warmer day. Lucky for us, on Friday, February 2, tutus and harem pants were not the dress code of choice, but instead all the organizers of a local music tour wanted was for everyone to show up in a onesie. The We Are Onesie tour, hosted by Astral Harvest and the Genesa Project, featuring K-Lab and local talent, brought out every creature imaginable, and for the first time since the year grew one older, it felt like the attendees had stepped out of the cold city into the loving embrace of the forested mountains. It wasn’t just a show everyone had decided to go to, it was a family reunion. Smiling faces greeted others around every corner, and groups of friends sprawled throughout the venue, Distortion, located in south Calgary. Being a part of it felt like magic, from watching artists live paint, to vendors sharing their love and passion with those in the vicinity. It was refreshing to know that no matter how long the winter, the warmth and love of the festival season will always be so close by. With opening performances by local talent, attendees were able to support friends and family through a good variety of sound designed to make the crowd shake their buns. Opening the night with AniMAL, followed by Kali Yuga and the Genesa Project and Nada Deva, the constant shift from bass house to break beats kept the energy pulsing late into the night, whether a person was front and centre on the dance floor, or catching up with old friends in the back of the nightclub. The honoured guest of the night, K+Lab, hailing from New Zealand with his infamous keytar, didn’t disappoint either, as guests were able to watch him play some of the recent glitch/hip hop tracks on his newest release. With the Wiggy EP the first to come out of his newly relocated Vancouver studio, it was a treat to his supporters to hear the tracks everyone has been playing. Keeping the energy high with a stellar performance on the key tar, it was a highlight to hear Wiggin, Boomerang, and many others live and in the flesh. Finishing up the night with the Vancouver-based duo, Average-Gypsy, the wobbly bass kept the energy alive right until the end, closing out the dance floor in the wee hours of the night. As the clock struck 3 a.m., goodbye hugs were given away easily, cabs were called, and the crowd slipped away into the frozen air with renewed hope in their hearts. I got an advanced copy of EVeryman’s new single, Push it Along, which is off the new album called Good Deeds, and it’s got me tappin my feet and hummin up a storm. The beat spins on the record player, the needle feels the grooves of the track, this is the rap I grew up with. This is real Hip Hop. First, to tackle the beat itself, it reminds me of J. Dilla, that bass line is a classic throwback to the good times, the uncertain times, the groovin times, the times of the 1990’s. So many elements of this song bring back memories for me, from my first Hip Hop album, (Stocks and Bombs by Warsawpack) to hanging out on my porch listening to Tribe Called Quest and K-os, back when I was just a lil MC with a lot of dreams in my pockets. This is one writer and teacher who sincerely hopes EVeryman keeps ‘Pushin On’ solid tunes like this for us all to listen to. 2. What was some of your earliest musical influences? 3. How long have you been making music? Risk takers, boundary pushers and the like. I love it when artists cross genre lines but stay true to who they are – theres tons of the former occurring in dance music, but when it’s joined with the latter the surprises come out! Of course that and my friends – I’ve been lucky enough to have a group of amazing artist-friends who are constantly inspiring me to do better, to do more! Thats something I think we forget in the the digital age when seeing all there is out there to take in – we all have potential mentors and friends in our local artistic communities that can help us grow as people and artists and so we mustn’t forget the wealth in our own backyards! 5. What changes would you like to see to the music industry to make it more profitable? I oddly enough don’t really want to see it get hugely more profitable but rather see Artists taking more fair wages across the board. On a more local concern, our city of Edmonton could grow its underground music nightlife imensly with some slight relaxing to “last call” regulations making performance hours later. I’d also love to see more venues that are NOT nightclubs become desirable spots for underground electronic events. – What would you like to do more of? – Where would you like to see yourself in 10 years? 7. How long have you been throwing shows? How did you get into it? 8. You recently released a cassette tape on Future Roots recently, which was such a classic move! How did that do for you guys? Do you have more plans in store for Future Roots you’d care to share? The reaction to the tape has been inspirational! The cassette has so much history both within Dance music and the whole scope of music industry and I felt that the concept of Future Roots worked perfectly within that as well. I think people really want to support music but the mediums have been forsaken – it’s much more difficult now to produce a physical version of your music and even harder to sell it – I decided that tape would be our first foray for all the reasons already stated but also the fact that it was within our reach as an independent and a way to put something real into the world of ‘things’ – it really matters to me that you can hold it in your hand and get a sense of who we are as artists and what we want to accomplish – and the best part is that the download is always included with the tapes so someone who still just want the digital, someone who doesn’t even have a tape deck can still buy the tape to support us and for all the reasons anyone ever would and still have the music in all the formats they desire! 9. What personal advice would you give to someone wanting to pursue this career? First of all I should state that this is not a “career” but rather a “passion-that-can-sometimes-pay” so I advise never to chase the “career” angle. That being said there are many careers in the music industry and they are varied and often quite fulfilling but as always the most elusive and the one I think you are asking about and that I am referring to is the career of “Musician”. Do it for love of your art form and for NO other reason – if you enter this pursuit with a passion to create you will be happier – and pleasantly surprised if the magic combination of talent, charisma, luck, and opportunity conspire to take that passion into career territory. 10. What are typical mistakes people make when trying to pursue a career in music? Do not do it for fame or money, both could come but neither will last. I have seen many try and fail and am aware of many empty shells of former people who were once maybe artists but are now products. In a nutshell this industry can and has chewed up and spit out too many to name. I would first avoid the pitfall of changing your sound to suit the “current taste” – adaptability is good but too much flexibility means the backbone is gone. I’ve seen seminars and youtube videos alike advise modern students and newcomers to change their sound until they hit success – this is fine if you only want fame of money but see my first sentence for the outcome of that. Stay true to yourself as a person and as a artist! Also please don’t let your pursuit of music as a career destroy personal relationships – I’ve seen a few walk this dark path and it leads to maybe fame, and maybe fortune, but the price is loneliness and emptiness – don’t forsake your friends, family and lovers for the idea of a career that is built mainly on fantasy – the life of a working and touring musician is harder than many think and if it starts to become a reailty maintaining balance is very important as fame or money will never last like healthy relationships. I’m Currently working on my new EVeryman solo EP entitled “Good Deeds.” I am also working on finishing up new final Little giants EP that I began with Pumpkin. Little Giants is Pumpkin and my hip hop group. We are a throw back to 90’s era hip hop. I have also started the process of creating a 501(c)(3) non for profit foundation called The Little Giant Acorn Foundation For The Arts. 2. What was your favorite 90’s jam? I have been playing with my family’s records since I can remember I wanted to be a dj and a rapper. I have actually been making my own music since 2007. I started freestyle rapping in 2001 with my college roommate who went by DropAflo at the time. He was a famous rapper in Italy for a time. I think artists should get more love and respect. It’s hard with so many new producers and artists out there. Music is easy to get for free. I think no one should sell music anymore… Just make money off shows and tours. Live performance is where it is at anyway for me. 6 . What would you like to do more of? More tours and more live shows that benefit a charity or go towards educating the youth in arts and music. 7. Where would you like to see yourself in 10 years? Running several programs to help give free arts and music education to those who want it. Making music and making films that help to promote positive change in the world. Working with likeminded peers to help progress the arts community while helping on a much larger global scale through arts and music and theatre events. 8. What personal advice would you give to someone wanting to pursue this career? Make sure you are not attached to a final outcome. Don’t quit doing it if you truly love it. If you don’t find what your passion is and go and do that because the world truly needs those who are putting their energy into something they actually care about. Don’t be an artists for the money. If you’re in it for the money GET OUT! We are artists because we want to express something truly human about ourselves. Because we want to share our perspective on the world through the abstract. Don’t be fooled by glitter and gold. The entertainment industry is pretty messed up. But it does allow us to shine in our own way if we can detach fro the “right” way to do things. There is no “right” way if you are focused and committed to your art no matter what then you are doing it right! 9. What are typical mistakes people make when trying to pursue this career? 10. Could you fill us in on the Little Giant Acorn Foundation? Nick “Pumpkin” Alvarado was a beloved musician, clown and most importantly, friend to so many in our community. While he is sadly no longer with us, his spirit lives on through his music and the thousands of people he touched over the years. To honor his memory, the Little Giant Acorn Foundation memorial fund has been established to help childrn who want to pursue a career in music or performing arts that otherwise couldn’t afford to. As of now, this very moment, we are raising funds to ensure that we can have the money for legal fees to become a 501-(c)(3), set up a board of trustees and sponsors, create a fundraising video campaign, and to organize a team to teach our first round of Little Giant Acorn Summer camp! Another goal of the fundraising is to finish Nick’s music. Pumpkin and Little Giants both had music that was nearly finished that still needs to be released and shared wit the masses. All the funds raised here will go back into the memorial fund. A remix charity album will be created by Pumpkin’s Peers with remixes from : Fort Knox Five, JPOD, K-Lab, CloZee, Spiltmilk, and many more! Grassroots has made for which all sales go to the foundation and we are also selling memorial t-shirts. By purchasing this limited edition t-shirt, you are ensuring Nick’s spirit continues to shine bright while also helping to inspire the next generation of little acorns. We had our first foundation fundraiser on October 28th The First Annual Pumpkin Ball, in which we raised over $3000 for the charity. LA’s Evan ‘Everyman’ Shafran and Washington, DC’s Jason ‘Qdup’ Brown are embarking on a co-headlining tour together in 2017! We are looking to have the guys hit February through March. Let me know if you have any holds we can grab. Over the past several years, both have earned increased recognition by releasing acclaimed original music and delivering genre-defying DJ sets consistently at clubs and festivals across the US and abroad. In the wake of tragedy, the last year has thrust the two of them into the spotlight having each respectively stepped into the shoes of their fallen friends and music collaborators Nicholas ‘Pumpkin’ Alvarado and Jon Horvath of Fort Knox Five. 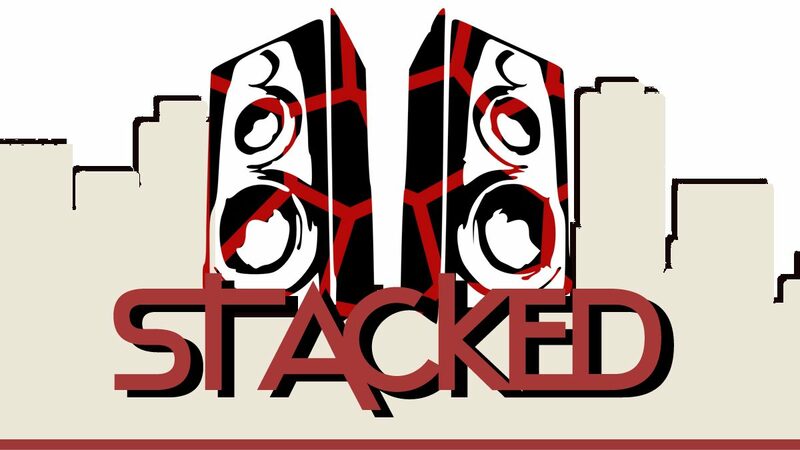 Qdup has been touring extensively with Steve Raskin from the Fort Knox family performing a unique Four Deck Set that incorporates live mash-ups and turntablism since the passing of Jon H in late 2015. Similarly, Everyman has been rocking festivals and club shows heavily over the spring and summer since the passing of Nick earlier in 2016. His well-received Pumpkin tribute sets included a showcase of their Little Giants hip hop project, which Pumpkin and Everyman collaborated on. On their forthcoming tour, Qdup and Everyman will showcase Everyman’s distinct MC skills with a hip hop set featuring original music – including Little Giants work as well as other material. Along with their separate DJ sets, Qdup and Everyman are sure to bring a true block party vibe that will run the gamut of dance floor infused breaks, hip hop, funk, house and bass music that the boys are known for championing. In honor of Pumpkin, Everyman has recently started a society called ‘Little Giant Acorn Foundation for the Arts’, a not-for-profit charity organization established to provide music and arts programs to children who do not have the means to attain them otherwise. A portion of all proceeds from this tour will go to benefit the foundation and keep the Pumpkin legacy alive. This entry was posted in Interviews, Music and tagged Acorn, Everyman, LA, Pumpkin. Bookmark the permalink. line. I have a bunch of new beats on the go for a few different projects as well. It’s been a good year, and I’m just getting everything in order this month to keep the momentum going into 2017.
hen I was a kid. I remember seeing footage of his concerts when Thriller and Bad came out thinking he was the coolest entertainer in the world. I listened to the radio a lot and watched MuchMusic. I used to record audio from the radio and listen to it over and over again. My sister used to record all the Much programs to VHS, and we’d watch those repeatedly too. All in all, I have been performing my whole life and I released my first album in 2006. I have been beatboxing for about 15 years. I started performing at underground shows around 2002, proper shows in 2005, international in 2007. I started producing in 2012. When I was a kid and teenager, I also sang and played tablas. Music and nature. My day to day involves listening to records and looking for music online. So not much has changed since the VHS days haha. Everything is just a bit more accessible now. Living on the west coast with mountains and ocean around me keeps me motivated and inspired. Photography is another one of my passions, so I try to go out and take photos every week all over the city. I’ve been in BC for 8 years now and am always discovering new places. Ideas inspire me as well. I tend to take on a few projects at a time, so I’m usually excited while I’m in the different stages of creation. I hope things comes full circle again and more people pay for music. Bandcamp releases, physical copies, concert tickets. It’s all already happening, but I hope it increases even more. I know Spotify and Apple Music are pretty convenient, and there is value to being easily discoverable…but I hope there’s more people seeking out stuff instead of hoping a playlist will do the work. 6 . What would you like to do more of? Where would you like to see yourself in 5 years? I want to keep focusing on Too Attached. The project challenges me to get bet ter as a producer and write songs differently. I think what Vivek and I are doing is pretty fun and freeing, so I look forward to our growth. I would like my Channeling India series to get noticed in the UK. Some of the best Indian electronic pioneers are from the UK, and I looked up to them when I made Channeling India vol 1. It would be great to share my music out there where there is a huge Indian community. I still feel like the series has somehow gone over a lot of people’s heads, but I’m sure there will still be a volume 3 down the road. My ideal life would be making music, getting booked as a voice actor, getting better at photography, and building on my label. I would love to have more money to spend on Sensing Waves, doing physical releases when there is even more interest, and putting more energy into the visual components. I haven’t toured overseas since 2012, so I would love to take my music internationally again and also tour more with my sister. I also aspire to keep attaining more balance in my life. It can be difficult to navigate having so many goals, so I hope I can live life more seamlessly. At the moment, it’s kind of a healthy chaos. Make goals. Short term and long term. I have a whiteboard on my wall kind of like a to do list. I write on it weekly and cross things out as I go. I find that it’s very much like keeping my eyes on the prize, or having a daily reminder of what I’m working towards. Many times my short term goals are what I need to accomplish to attain my long term goals. Invest in your career. Your art is your own small business, and you have to spend money to make money. It’s like you are the plant and you are also watering it. Make art because you want to and for yourself. If you have the idea within you, then that’s all you need to begin. Focusing on the results or what people will think can leave you lost or distracted. It doesn’t matter how old you are or if you’re just starting out. You are on your own timeline. Apply for everything. A lot of my early success came from applying for every festival, sending my CD to promoters in the mail, and spending time reading about events. If you don’t get booked or accepted, keep applying! Embrace your day job. I know a lot of my peers who have quit their day jobs, and found a way to make art full time. All the power to them. However, if you are funding all your personal projects through working, you have to find a way to be content at work. I used to look at my job as a burden or time wasted, but now I am grateful to have the means to make it all happen. It’s good to have a safety net. I also think it’s great to keep increasing your skills. You might get really good at one thing and want to pursue that…but sometimes having several skills can lead to multiple incomes down the road. I have been teaching myself Ableton Live, Lightroom, Photoshop, and Final Cut Pro all via the internet. DIY!! What are typical mistakes people make when trying to pursue this career? I can’t speak for everyone, but I think my biggest mistake would be not believing in myself. I have had a lot of ups and downs in my career. After every tour or release I’ve wanted more even if things were great. Other times, I’ve felt like a vision was overlooked or failed. I think once I turned the 10 year corner of my music career, my faith was renewed. I know now that I just have to keep putting in work. I didn’t think I could become a producer. I thought I would have to spend all this money on gear and making a studio. Now that I have a studio in my place (after steadily buying stuff over the years), it feels pretty natural. I can’t sit and regret not getting here sooner, but I know that I can do a lot if I keep going for it. I saw Too Attached when you played in Edmonton, and I loved it! What can we expect from Too Attached in the future? Cheers man. This past summer we did 3 dates with Lal, and played at Pride in Toronto…and we recently did 7 dates opening for Tegan & Sara across Canada. I have been working on a bunch of beats for Vivek, and she has sent me some demos as well. It’s a unique dynamic being in a sibling duo with me in Vancouver and her in Toronto…so we have been sending each other ideas via the internet. We are hoping to spend the next few months writing new material, and we should have a new album out in the fall of next year. This past tour was our focus for most of September and October, so it will be nice to make music again. Our first EP was created with us handling our parts in our own cities, but I will most likely go to Toronto next year…so we can complete the album there together. This entry was posted in Interviews, Music and tagged Alberta, Edmonton, Shamik, Shamik Music, ShamikMusic, Vancouver, YEGMusic, YVR. Bookmark the permalink. Currently, I am in the middle of writing a 3 track EP for BioWare. My tracks will be featured in the game “Mass Effect: Andromeda.” The music could be be playing in 3 different game hubs. The Aya race outdoor area, the humanoid club, or in an intergalactic pirate bar. Were you influenced by any old tapes/cds? In what way? I’ve been listening to Global Underground featuring Deep Dish recorded live in Moscow since the year 2000. This is the set that got me deep into the realm of electronic music. To this day I listen, to these sets annually. The progressive and nostalgic sounds have been timeless and appeals most to me during the fall. This set still inspires me to this day. I’ve been dabbling into production for years but didn’t start to serious ly produce music until 2012. This was the year of after the death of my mom. I wrote the album “Life after death” soon afterwards. The album represents the hard fight my mom had and the aftermath of my personal healing to follow. This is hard to say. Every year the music has been changing radically from a traditional supply and demand of record sales to 360 artist branding. Hopefully it will be easier for artists to get on streaming platforms like spotify to make a profit. Using more analog synths. Currently I am using software synths but thinking about getting a virus synth. To be still producing music on a regular. Some people take pictures but I like to write music. A song that I write is like a personal time capsule. Every time I listen to one of my older songs, It brings be back to the era of my life of when i made the track. I loved your set at Astral Harvest this year, can we expect this as a new direction for Nada Deva? It seemed like there was a lot more bass house in the mix. Yes! We are still on a Nu Disco and Brazilian bass tip but we are always actively still the UK garage and bass house vibes. Over the years, we try not to conform to a single genre but take the elements we love about hot/current genres and just build sets to our personal liking. We have been getting more into tech house. How did you get involved with Astral Harvest? What are your responsibilities? I can’t remember what year to be exact but I will guess 2003/4. My friend’s older brother “Bron Wells” (Catch the beat (CJSR)), was playing at the infamous “GOMP” event Intox 2. I showed up with vinyl to play the open decks with success! From then, I started hanging out with the crew and start playing at the afterparties and eventually joined GOMP. The original volunteers of Gomp was a group of friends that was ended up forming “Techno Hippy Crew”. They started with a handful of hall parties, a couple of bar nights and eventually threw the first Astral Harvest music festival. Within the first year, i was involved as an artist and a wakachan volunteer. Not until year 2 I joined up and started playing different roles over the years. I currently work with the talent team on bookings and programming. What are some of the most important factors for artists applying for Astral Harvest? Focus on your craft and all aspects behind your branding. We look at the relevance, social media, if they are a serious artist. Do they have a local or internet following? If they post a mix, is it mastered? In a world of 1000s+ bedroom Djs, we like to support artists that are taking their craft to the next level. What can we expect from Astral Harvest this year? Any teasers or updates you’d like to share? A general re vamp of the programming, headliners in the manor and more of a psy/prog presence . Also expect a couple of new crew showcases. This entry was posted in Interviews, Music and tagged Alberta, Astral Harvest, Canada, Edmonton, Edmonton Music, Music Interviews, Nada Deva, YEG. Bookmark the permalink. This week, I’ve got a brand new Remix EP from Marcus Visionary feat. Steppa Side, with flashy tracks by Phatcat (Future Roots, Edmonton) alongside two Dirty Skank Beats bangers. Marcus Visionary, the legendary Drum n Bass producer from Toronto, is well known for his Jungle n Ragga work, both nationally and globally. This remix album is in your face, and reminds me of a murky dancehall, blasting you with high speed tempos and drums. I feel like I wanna light up some hairspray or somethin. Dirty Skank Beats lights up the keys with his remixes, while Phatcat emphasizes the power of the snare to provoke the song. Oh, and don’t forget that rave whistle. I personally loved the dub sides by both artists, and I have to say that these tracks have been bangin in my headphones for a few weeks now. This entry was posted in Music, Reviews and tagged Dirty Skank Beats, DNB, Edmonton, Marcus Visionary, Phatcat, Reviews, Toronto, YEG, YYZ. Bookmark the permalink. Two words that I’m sure this artist hopes are burnt onto your soul. This guy played one awesome set at the Zion Noiz Haunted House show on November 4th, and I’m consistently caught off-guard by the styles and genres he plays. For the most part, his sets are all-original production, which is actually just insane. Instead of being committed to a mental ward, the Keeper keeps us trapped inside his walls of bass. Almost every show he plays is part of a series of Episodes, which ensures that you are never listening to “the same old track”… Ever. It must take an incredible amount of energy to produce at this rate, and not only did he produce it all, he fell off a roof and broke half of himself a few weeks before the show. Dunngeon Keeper is committed. Check him out December 17th at Zion Noiz presents, “Nightmare Before Christmas” at the Sewing Machine Factory on Whyte Ave.